(This Is The Car To Buy)! Giving This Car A Top Speed Of 60mph! 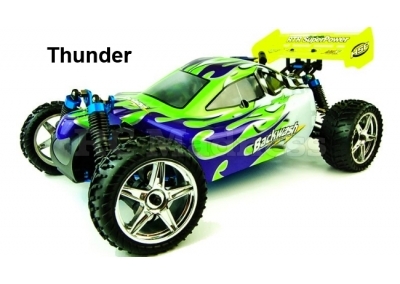 Making This One Of The Best And Fastest RC Buggies To Date. 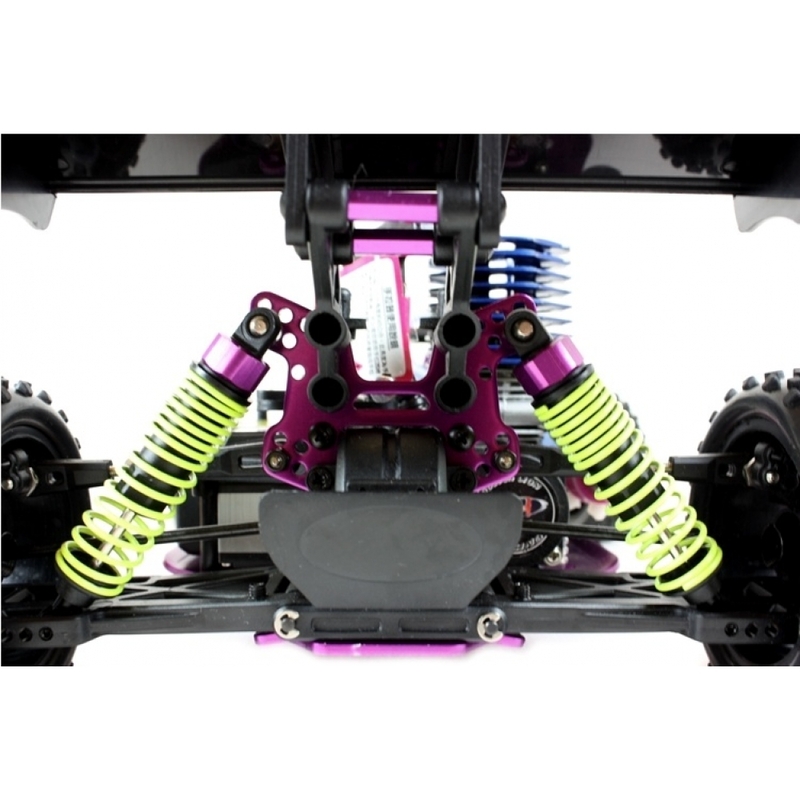 High Performance Oil Filled Dampers & Adjustable Progressive Suspension. Anti Leak High Capacity Fuel Tank. Ultra Strong Sealed, Metal Gear Differentials. 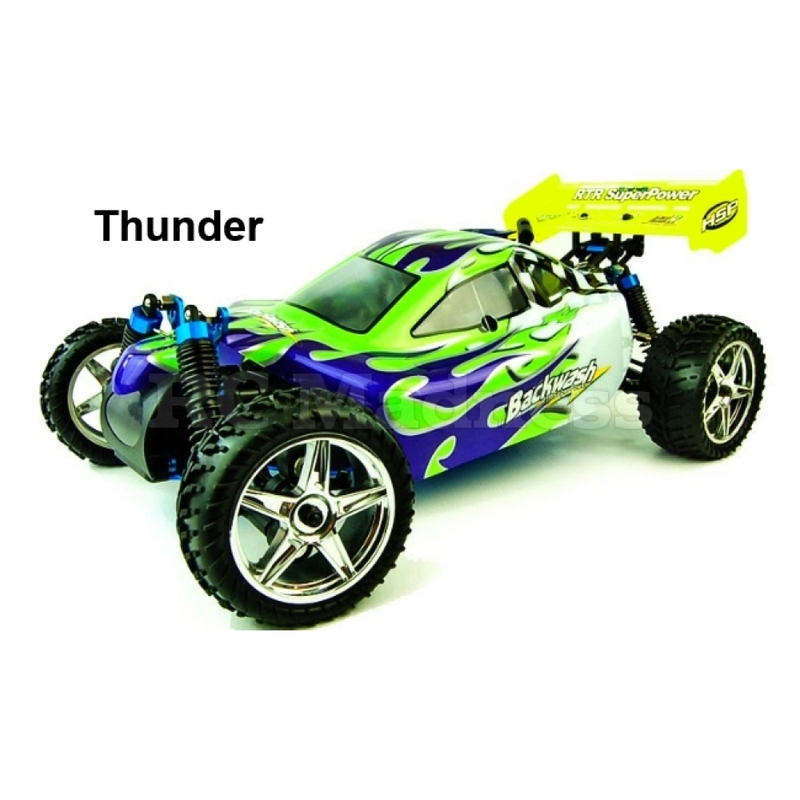 The All-Metal Disc Type Brakes Give Excellent Breaking Performance. 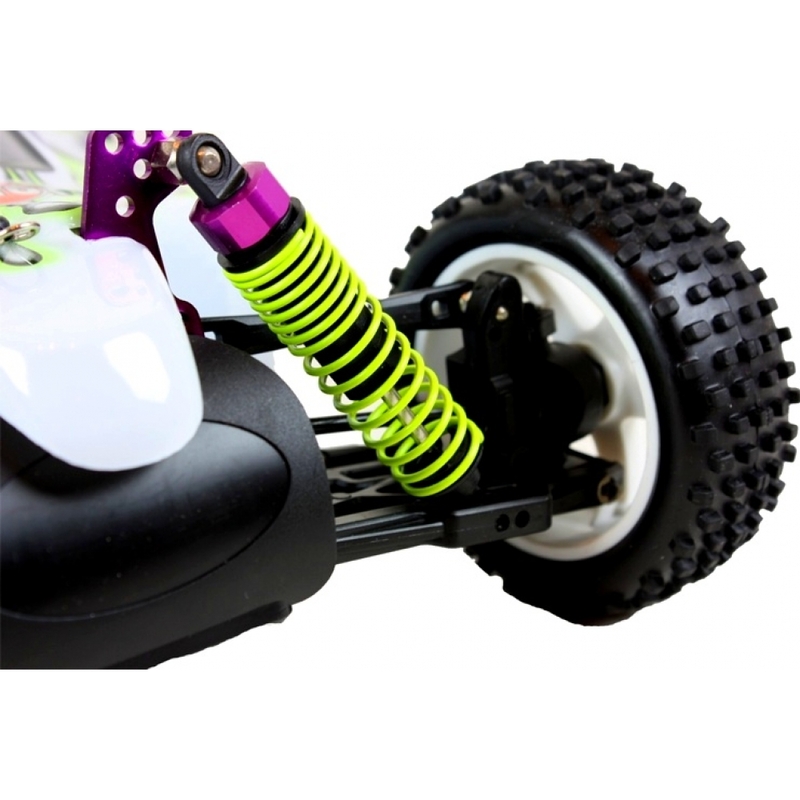 High Quality Aggressive Buggy Wheels. 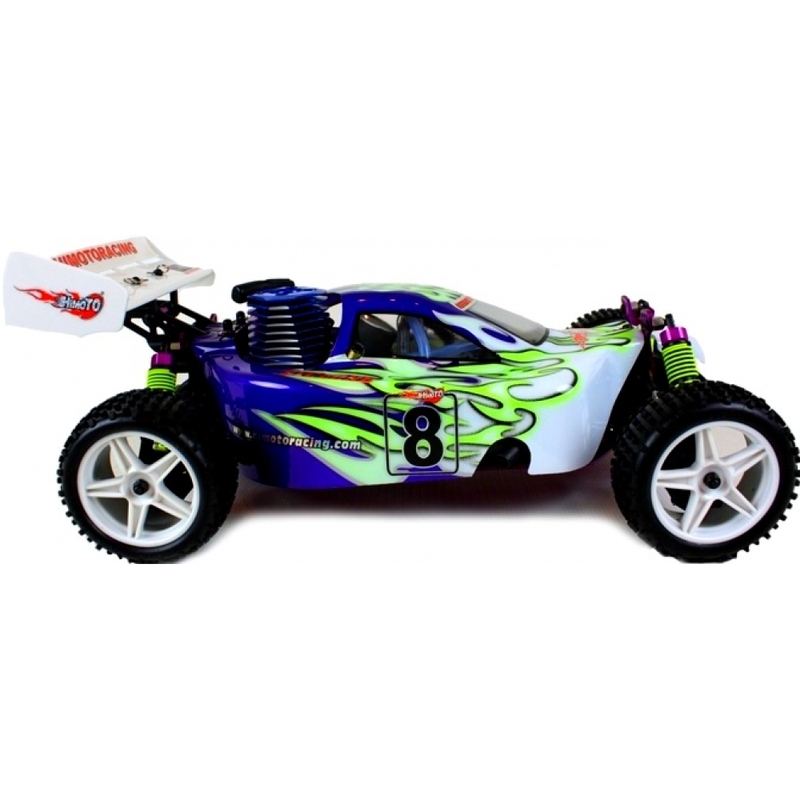 Highly detailed, ultra durable body shell & race wing. 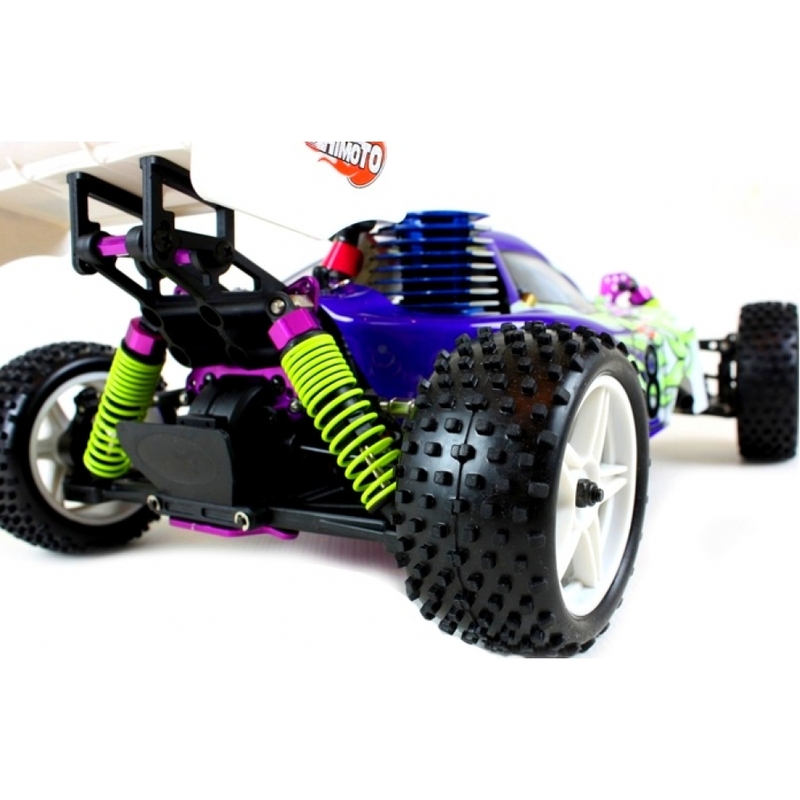 Rear Tire Size: 86mm x 40mm. 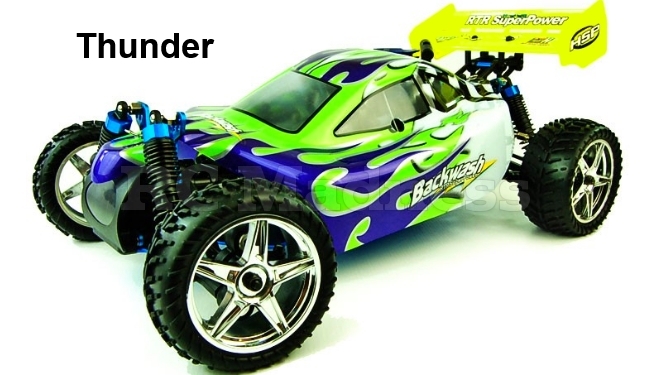 Front Tire Size: 86mm x 32mm. 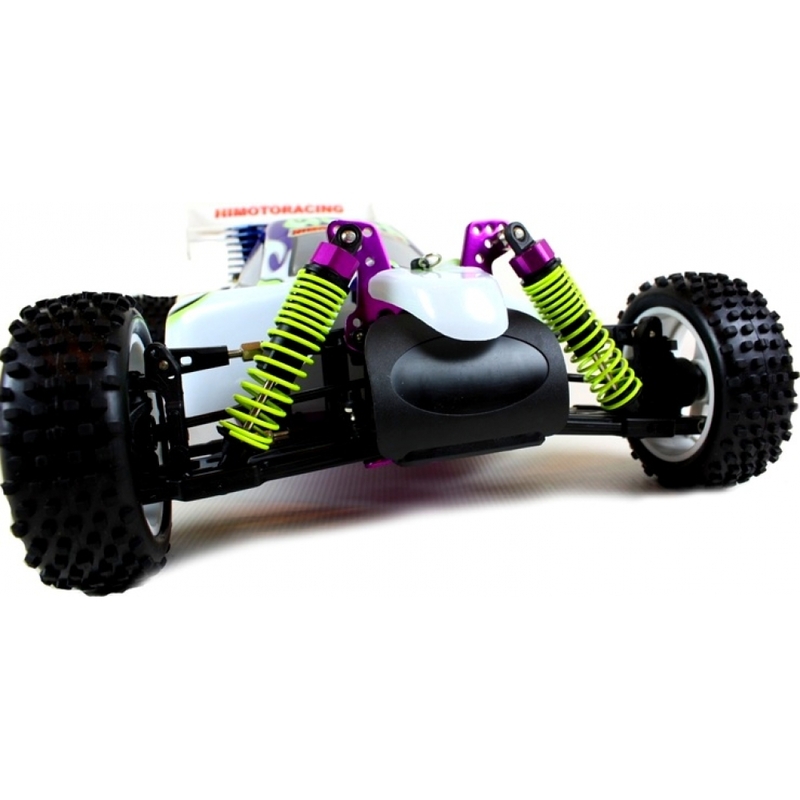 The alloy shock towers and strengthened suspension arms make this buggy very strong. 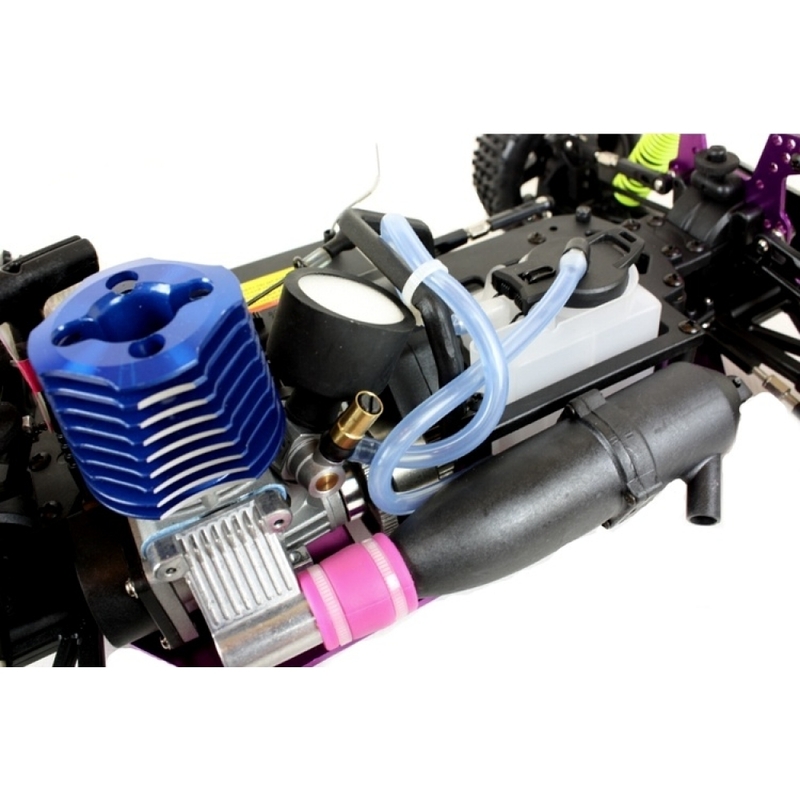 Huge 18CXP Engine Provides Insane Acceleration and Speed. 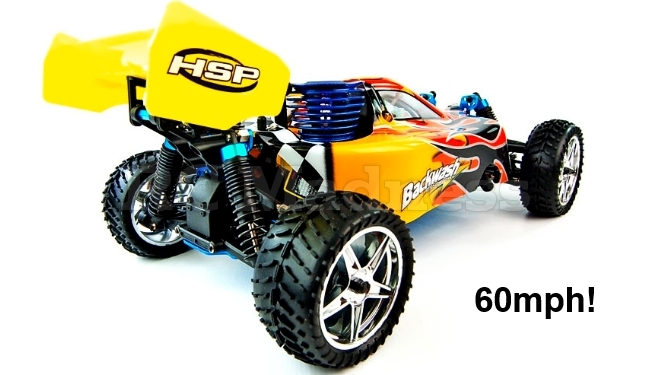 Assembled HSP 1/10 2 Speed Nitro Buggy (Flame). 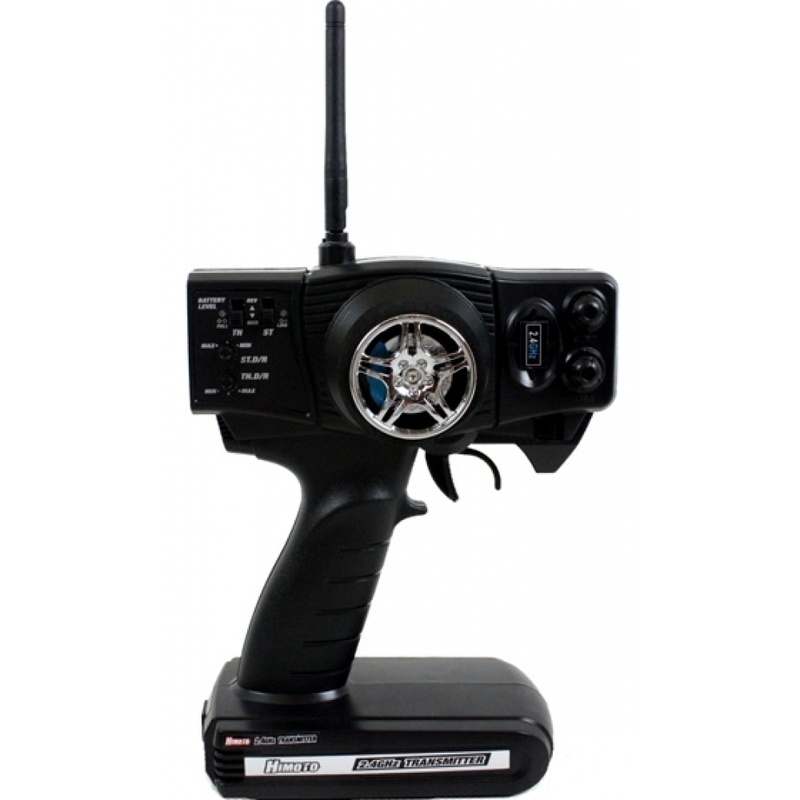 2-Channel Remote Control / Transmitter. 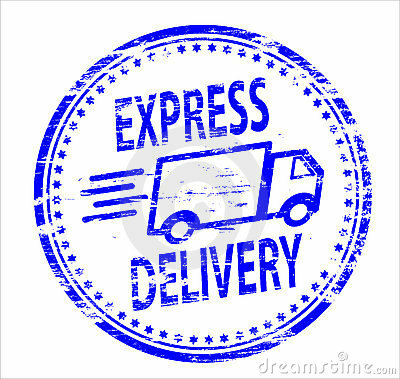 Free Next Day Express Delivery. 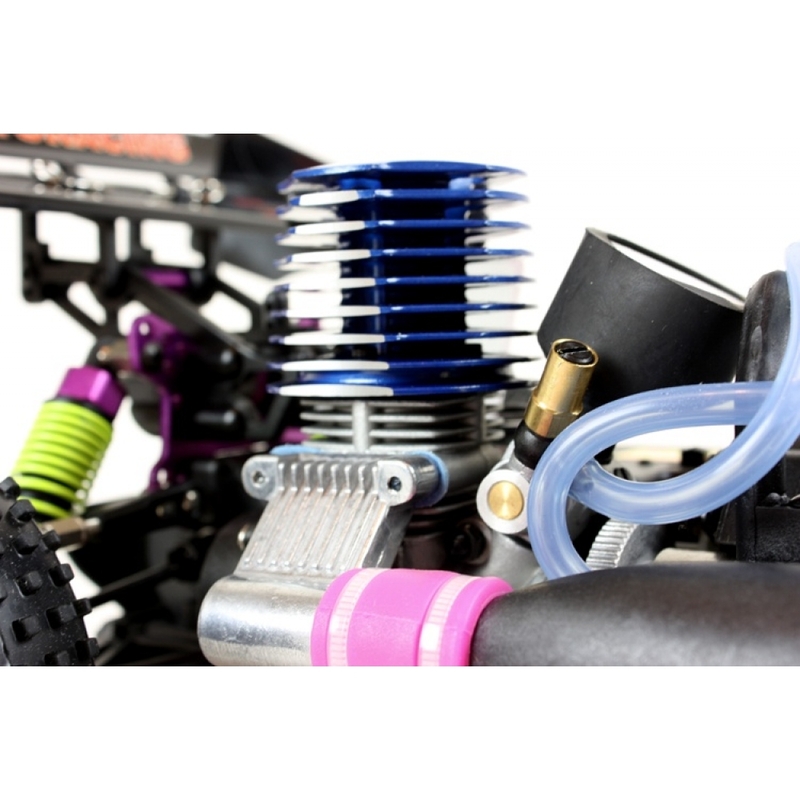 (Optional) High Performance Nitro Race Fuel. 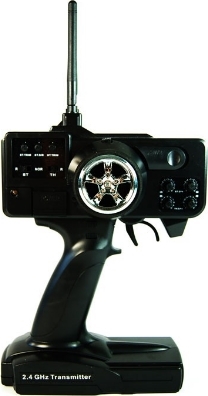 8 x AA Batteries For Remote Control. (Sold As Optional Extra). 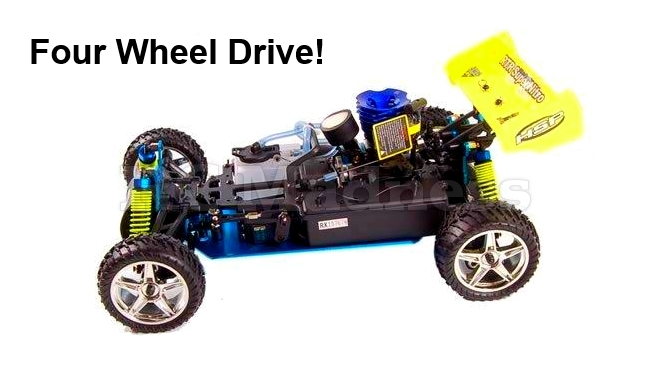 4 x AA Batteries For Car. (Sold As Optional Extra). Nitro Fuel (Sold As Optional Extra). 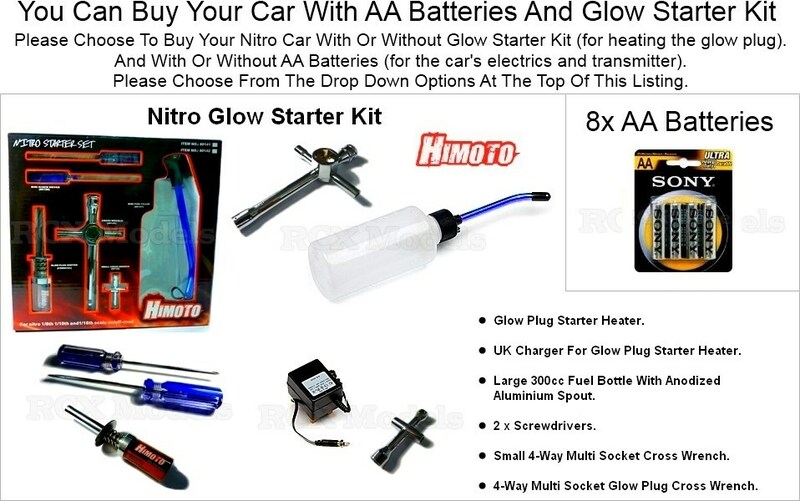 Glow Starter Kit (Sold As Optional Extra). to your door as quickly as possible. 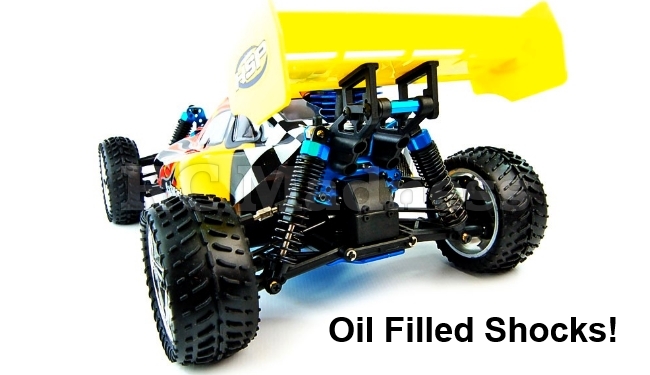 Contact us within 30 days and we will do our best to resolve any problems. If you are in doubt of your ability to operate this model. 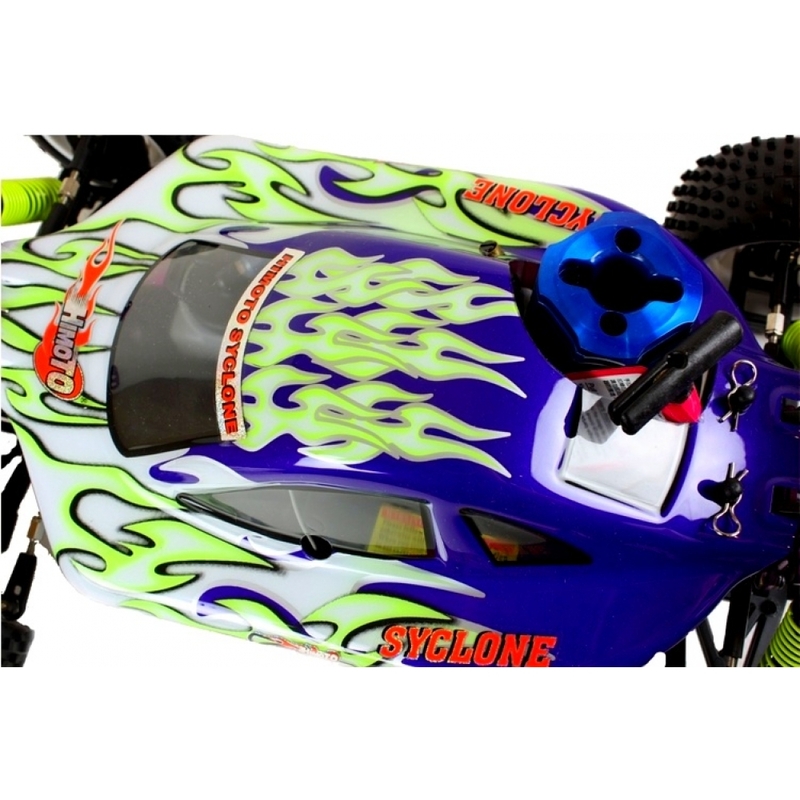 We strongly recommend that you seek assistance from experienced RC users or join your local RC model club to gain the required knowledge and skill. Not for children under 14 years of age. As the seller we assume no liability for the misuse of this product.